Guevara’s work and projects emphasize the role of contemporary art in economic development and as a tool for social change. His experience covers international projects including: intangible heritage, public art, exhibitions and visual arts education. As an artist he has researched, studied and worked exploring the connection between food, rituals of eating and collective identity. 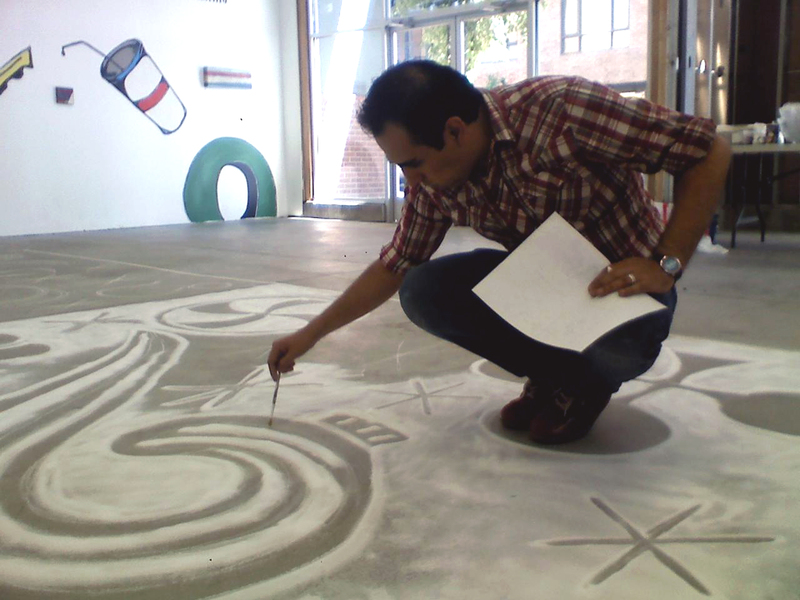 He has participated in multiple collective exhibits and had nineteen solo shows, including the Museo Tamayo Arte Contemporaneo in Mexico, National Hispanic Cultural Center, Albuquerque Museum and University of New Mexico in the U.S., and the 10th Mexican Festival in Australia. His work can be found in important private and public collections such as: Fundación Coleccion Jumex, Dolores Olmedo Museum, Ministry of Foreign Affairs of Mexico, Ministry of Culture of Bolivia, Salma Hayek-Pinault Collection, Her Majesty Queen Margrethe II Private Collection, Denmark, among others. His residencies and honors include THE LAND/an art site, COL:LAB 2012 freeDimensional and the American Institute of Architects Honor Award, both New Mexico and Albuquerque. Guevara studied painting at the Benemerita Universidad Autonoma de Puebla (BUAP) and continued at the Universidad del Claustro de Sor Juana in Mexico City. He received a University Expert title in Management and Planning of Development Cooperation Projects in the Fields of Education, Science and Culture at the Universidad Nacional de Estudios a Distancia (UNED) at Madrid, Spain, a Postgraduate Certificate in Cultural Management and Communication from the Facultad Latinoamericana de Ciencias Sociales (FLACSO) in Buenos Aires, Argentina, and attended the Seminar Race, Gender, and the Historiographies of Art at the University of New Mexico, USA. 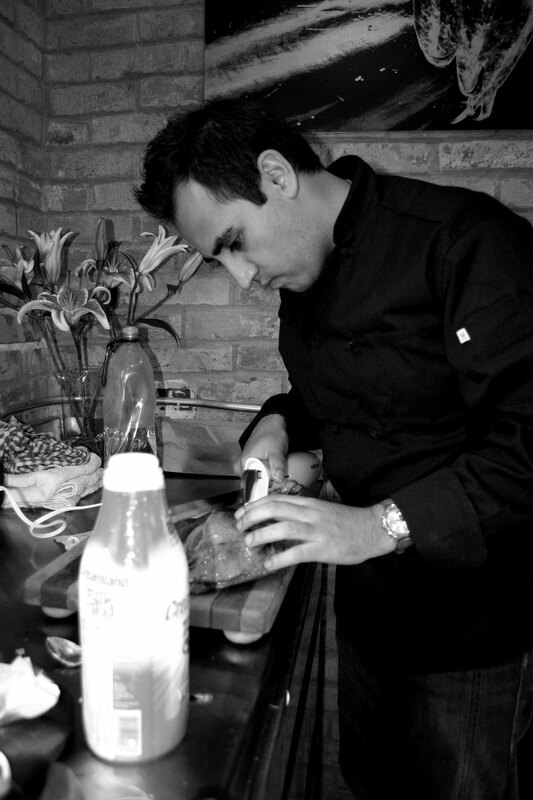 He also received a Diploma in Enology from the Université Du Vin and the Instituto Culinario de México, and a Diploma on Gastronomic Culture and Food Sciences from Chef Ferrán Adrià at Universidad Camilo José Cela in Spain.